I've had lots of time to browse the internet while feeding the baby, so here is the first of many inspiration collages. 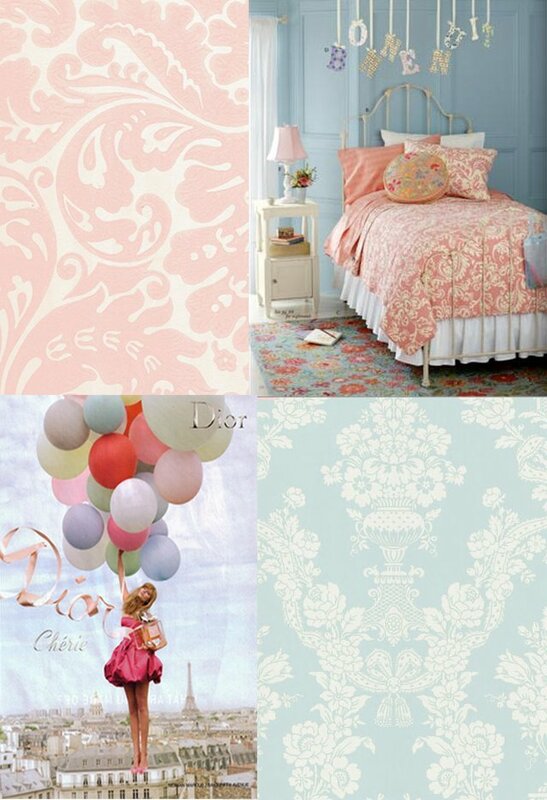 pink damask wallpaper, fabrics and papers. child's bedroom, land of nod. Miss Cherie Ad, Dior. blue damask wallpaper, historic new england.